Stephen Charrier, President of Rollerblade USA, and Rob Gill, of InlineSkates.com, review the 2015 Rollerblade RB XL Mens Inline Skates. Hey, welcome to the Daily Spin. I'm Rob from inlineskates.com joined today by Steven Cherrier from Rollerblade. Steven, thanks for being here. Thank you for having me. So, really unique skate in Rollerblade's lineup. The RB XL and what makes this skate so unique is really just the sizes that this skate covers. Yeah, we designed this skate, Rob, we had so many requests from people that wanted a bigger skate and you know we looked at it and instead of just taking one of the skates we make now and making a larger size in it, we knew that, you know, people have a bigger foot are generally a bigger person in general so we needed to design a skate that was going to be supportive and function and work properly in bigger sizes and bigger sizes, just to cover what that is, this is a 14 right here. It comes in a 14, 15, 16, 17 and 17.5 and all the half sizes in between. That's really cool. That's an important skate for an important group of people really out there. Yeah, it's the biggest skate you can buy anywhere and the key thing, as I said, that this skate was designed from the ground up to be a big skate and you can really tell that when you look at the bottom of the skate, you can see that the structure of this skate goes all the way to the front here - it isn't just an extended version of a different product. The frame is designed specifically to fit onto this shell and structure and this has 4 90mm wheels, you know, they don't look that big here. Yeah they don't, they look small on that skate. Yeah, the thing is it's great and it skates so well. I mean the reviews from the products since we've had it out have been great and it allows a large person to get out and skate. Absolutely. And then moving into the boot, let's talk a little bit about the fit system that you have there. Well, it's our standard kind of lace, power strap and upper buckle closure on this skate. But again, the thing I would emphasize is that all the materials on this skate, you know, you squeeze the cuff on that skate and you feel how firm it is. It's really designed to offer support for someone with a larger foot. Absolutely. So, who is the customer for the RB XL outside of the guy that just has a big foot? Mostly, smaller children...it's obviously for someone with a large foot. You know, we built the skate so that it's got enough performance with 90mm wheels that it will really skate well but we found a lot of people that, you know, giving them the access to be able to get out and skate if you have a size 16 foot and, again, it's a performance product but not to high of a performance and it does come with a brake as well too. Fantastic. 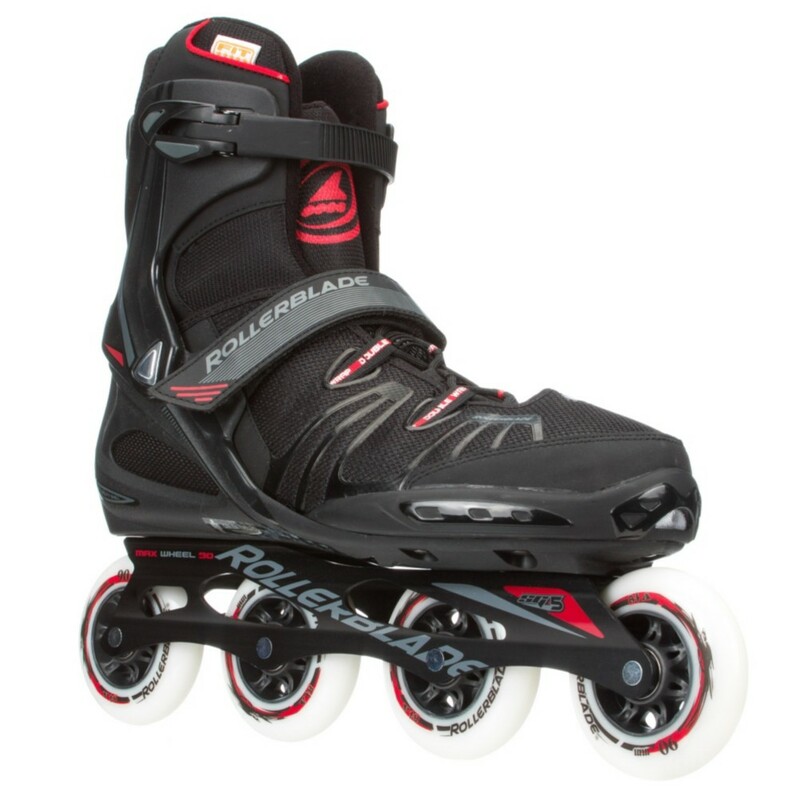 So, there you have it - the RB XL from Rollerblade. Thanks for joining us on the Daily Spin and you can check it out on inlineskates.com.